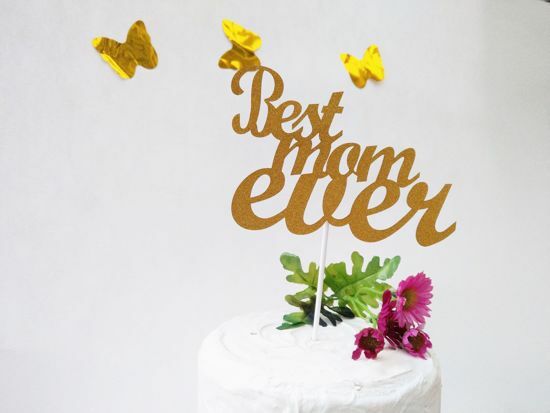 Design your party with this glitter cake topper. Very on trend and stylish, gives a fabulous charm to any special event. This gold glitter cake topper spells out 'Best Mom Ever' and will be ideal for your event party. It measures 10 x 15 cm and will add a fun finish to any cake.